This week it’s actually more than just a picture – it’s a whole art installation! The art project titled Living Light was a 2013 collaboration between an artist and a scientist – Rebecca Klee and Dr Siouxsie Wiles. It was created for “Art in the Dark,” New Zealand’s premier annual light festival in Auckland. Dr Wiles is a microbiologist who leads the Bioluminescent Superbugs research lab at the University of Auckland. Here the research team is using bioluminescence for the research of infectious diseases. By making nasty bacteria glow, the scientists can easily track them, and use this approach on all kinds of research problems. Specific cases can be found on the lab’s blog. 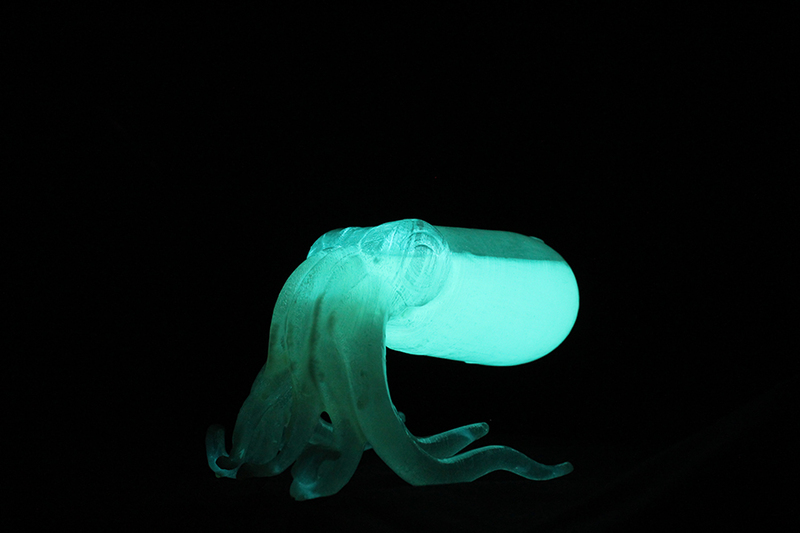 The focus of this research also lent itself to a striking visual installation, involving twelve 3D printed translucent squid ‘vessels’ hanging from the ceiling of a darkened tent, and filled with approximately 250 billion bacteria each. You can see more pictures, and learn more about the collaboration and the creative process on the blog dedicated to this project. 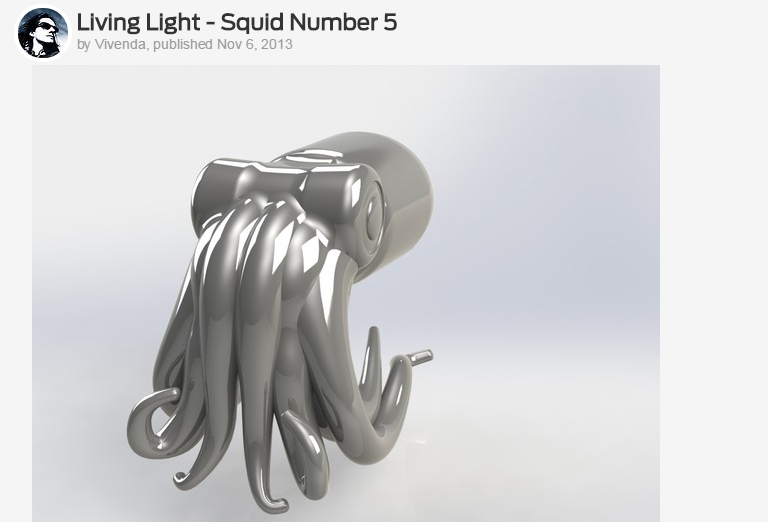 And you can even print your own squid!